Our game software is freeware, meaning it is totally free with no time limit and it offers 2 player up to 4 player games. 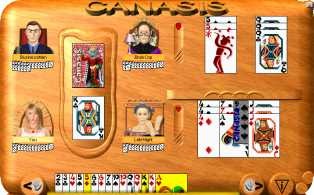 Canasta, pinochle, euchre, spades, and hearts are all available to play online at Canasis in a single multiplayer download. For online canasta card game players, we have modern canasta (normal), drive-thru canasta, traditional canasta, and the ability to customize your own canasta rules. Online spades has traditional spades, modern internet spades, suicide spades, expert spades, African American spades, and the ability to decide your own spades rules. Next, online euchre has normal euchre, English euchre, 32 card kiwi euchre, and the ability to customize your own euchre rules. Online pinochle has both single pack pinochle and double pack pinochle, as well as the ability to mix up your own pinochle rules. Finally, online hearts has several rule variations to play online against other people. All three of those games (chess, checkers, dots) are available to play online at Canasis. 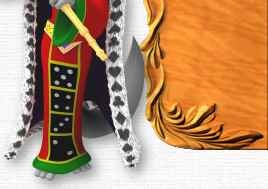 Online checkers has English draughts (normal), simple US Checkers, Italian dama, Spanish dama, german damenspiel, polish draughts, canadian large checkers, Russian shashki, giveaway checkers (also known as losing checkers, suicide checkers), and of course the ability to customize your own rules. For online dots players, we have simple children's dots, square-It (a more grown up game), and the ability to make your own rules. For online domino players, we have normal dominoes, all fives dominoes, no spinner dominoes, best of ten dominoes, and as with all our games, we always have the ability to decide your own rules to play with. "I love that there is always someone online to play the games with..."
"I love that the free games load fast.."
Copyright © 2006-2010 by MPI. All Rights Reserved.